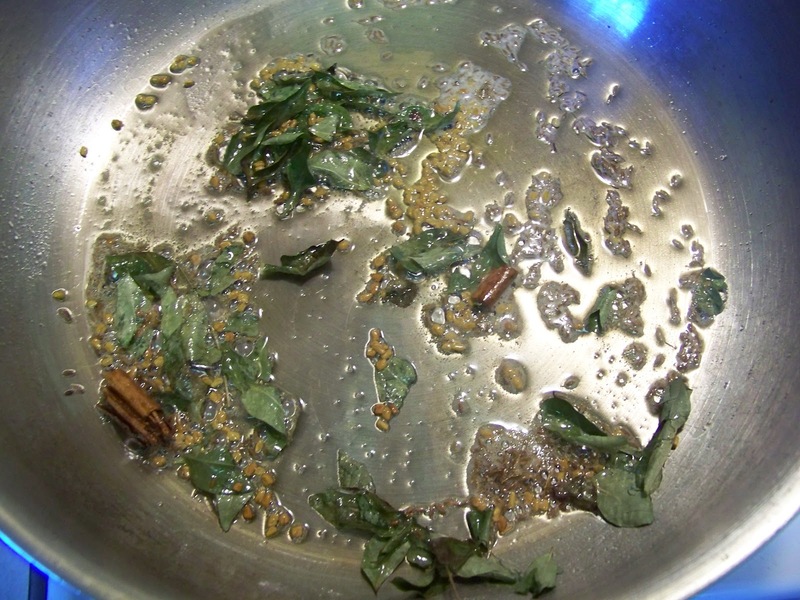 Have you ever bought an ingredient from the grocery store because it was on sale and had no idea how you wanted to use it? I did that with a 1/2 pound bag of spinach recently. It was on sale and I grabbed it while telling myself that I'll find something to do with it. Well, it sat for a few days in the fridge and I started to panic. I had to use it before it was a waste of money. Sale or not... it's not a bargain if you have to throw it out. 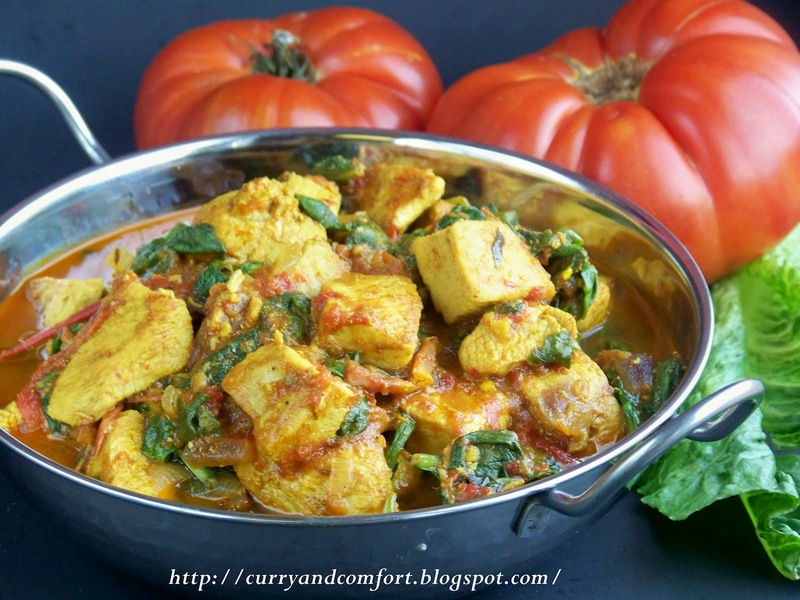 So I decided to create this curry and I am so happy I did. 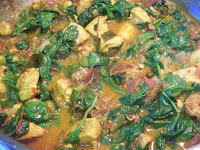 I really enjoyed it with both a rice and lentil meal and on it's own with flat breads (roti, naan etc..). 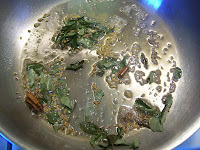 Heat 2-3 Tbs of canola oil on medium high heat in a large pan and add cinnamon, curry leaves and cumin seeds for 30 seconds until fragrant. 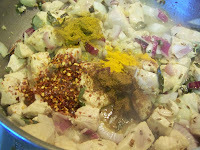 Then add the chicken and brown for a few minutes. 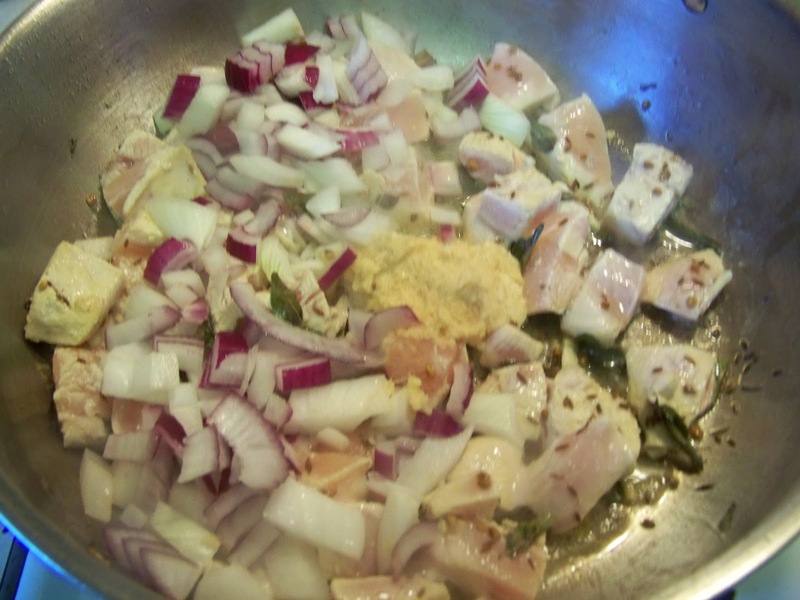 Add onion, ginger and garlic and saute with the chicken for a few minutes. Next add the dry spices: turmeric, garam masala, curry powder and red chili flakes. Also salt your chicken at this time. 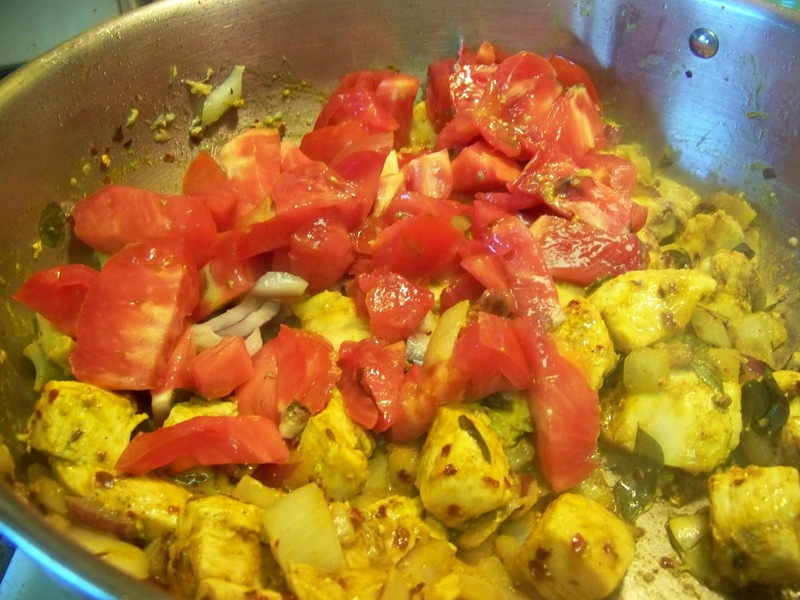 Add chopped tomatoes to pan and mix with all other ingredients. 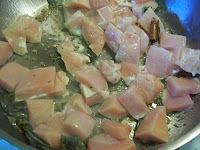 Lower the heat on the stove to medium and cover. 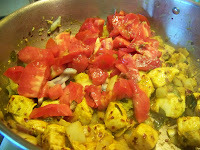 The tomatoes and chicken should give off some juices (if not add 1/4 cup of water). I did not add any water. 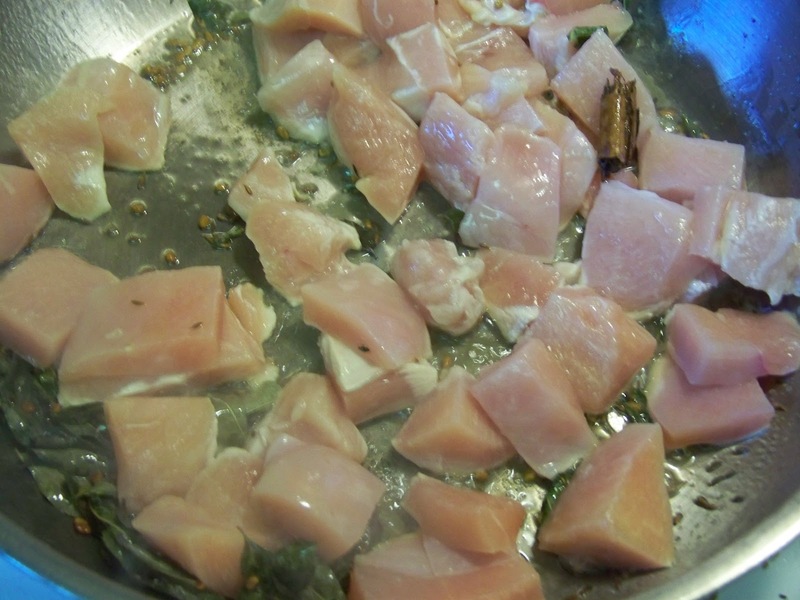 Cook for 20-25 minutes on medium, but stir every few minutes. If you see the dish drying up, add a dash of water. Once the chicken has cooked and is tender, add the spinach at the last few minutes of cooking to wilt. Taste and season with salt again. Turn stove off, serve with rice, lentils or any Indian style flat breads like naan, roti, chapati...etc... Enjoy. This looks amazing!!! I love the tomatoes! 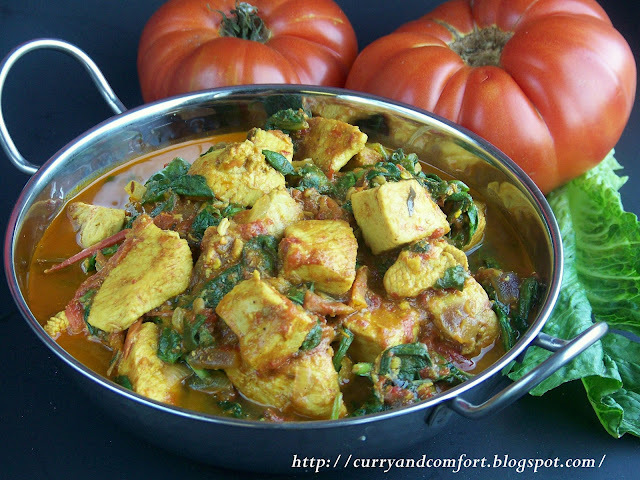 I haven't had a delicious tomato curry in forever - this looks so good! 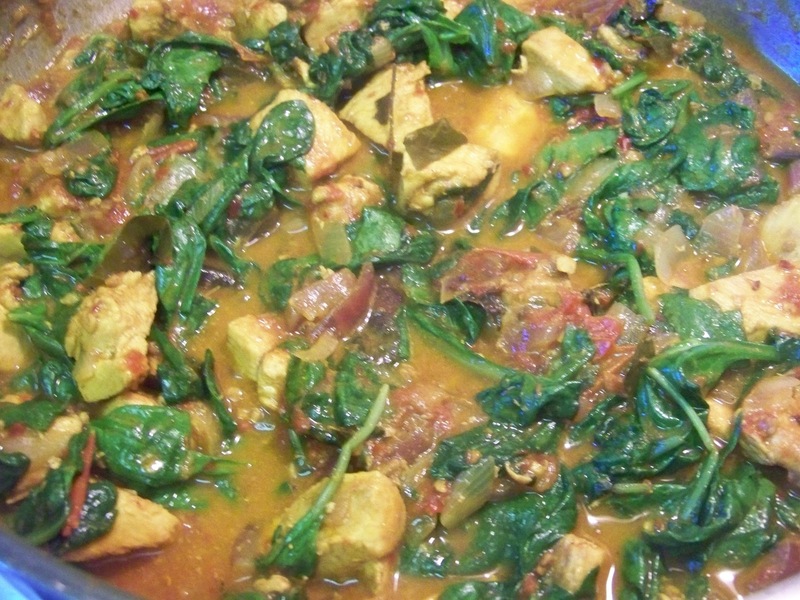 I am not a huge lover a spinach, but I would eat this in a second! Great use of it before you had to get rid of it. Mmmm, looks and sounds so delicious! 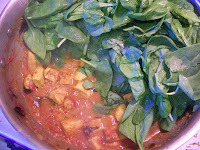 I like that you didn't puree the spinach! The curry looks amazing!! Another mouth watering curry recipe from you "curry queen" :) I had a lot of tomato now need to use up !! Pass the naan I'm ready to dig in!!! Great save on the spinach! 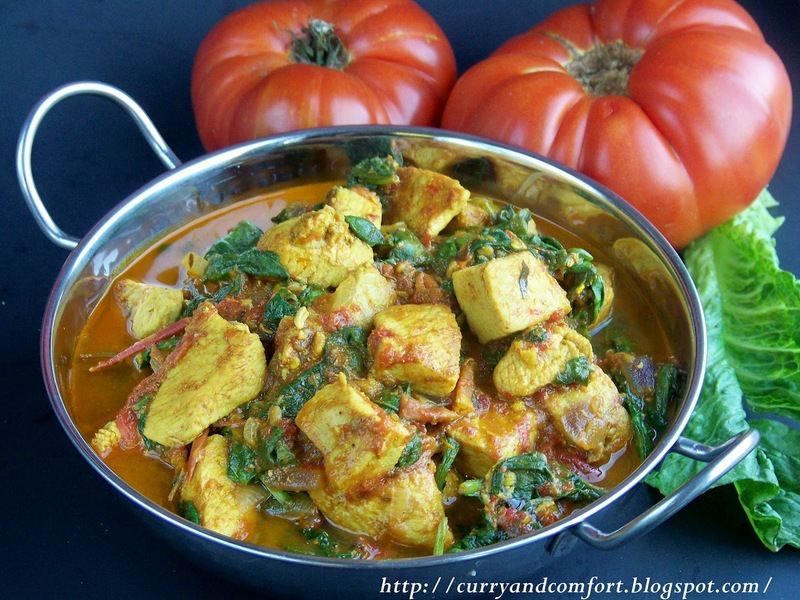 Another fabulous curry and where did you get those beautiful tomatoes?!?! Hope you're having a great week!